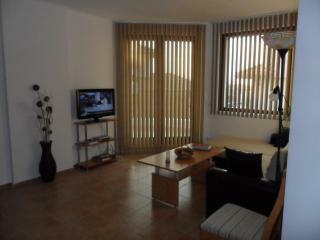 This one bedroom furnished apartment is situated in the Bay View Villas. 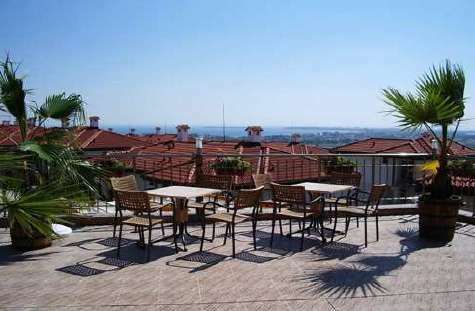 The apartment features a kitchen with living room with all amenities, en suite bedroom, second toilet, patio area leading to garden with plenty of room for four sunbeds/table and chairs with a beautiful view of the mountains. 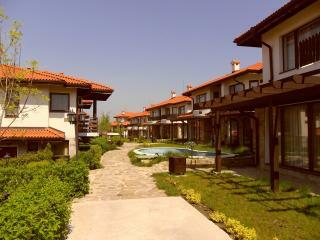 Bay View Villas is located on the outskirts of Kosharitsa, a village close to the popular resort of Sunny Beach. 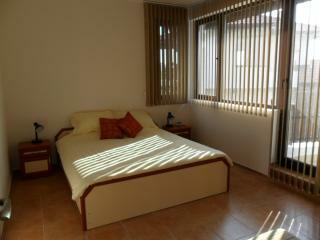 This is a fabulous complex about 4.5 km from the beach which is 8 km long with fine golden sand and has a Blue Flag Award. 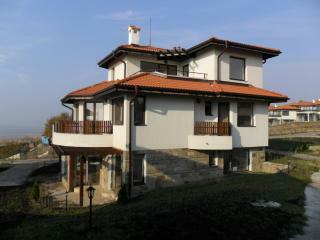 Bay View Villa complex is beautifully landscaped with superb on-site facilities for all owners. 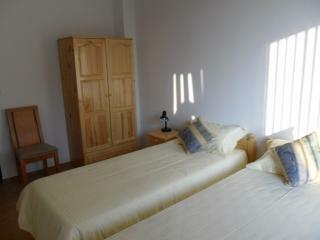 The apartment has all self-catering facilities to comfortably accommodate five guests. There are many activities in the area including bicycle hire, mini golf, and horse riding and a newly built aqua park. The natural resources are really good in this area and ecological standards are strictly enforced so no building may be more than 10 meters high. 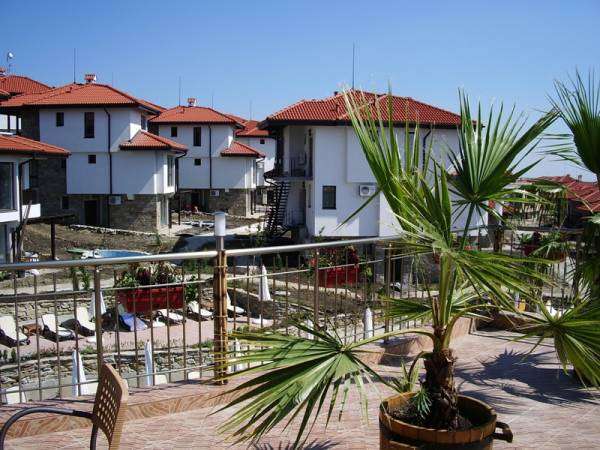 Nessebar is only a few kilometers away and the resorts of Sveti Vlas and Pomorie are nearby. Kosharitsa is 33 km from Bourgas International Airport and 43 km to Bourgas city center of Bourgas, one of the biggest cities on the southern coast. 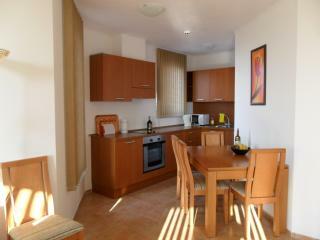 Bay View Villas is a fabulous complex in a quiet area yet close to the beach, good restaurants, cafes, and bars. 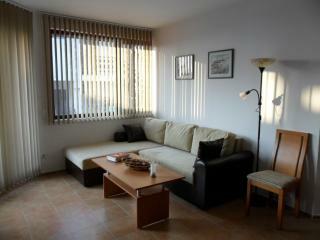 A fabulous place to buy a holiday apartment overseas! !